Did you know the healthcare operating model has essentially stayed the same for 100 years? If you think about it, any system that is 100 years old has obviously been updated since, and it’s high time we work to bring the healthcare system up to speed, too. The healthcare industry may move at a slower pace than other segments in terms of modernizing processes, but it is certainly working to adapt digital technology. It’s a great move, as technologies are fundamentally revamping and fine tuning practices for drug discovery and development and clinical trials to provide higher quality and more precise outcomes. Modernization: Is it really necessary? To better understand the trend of innovative technologies being weaved into drug discovery and development and clinical research, it’s important to know the reasons driving the change. The biggest change drivers come from patient ownership and engagement and competitive market forces. Informed consumers who are ready to take ownership of their own health and better manage it is exciting for the industry to see. We’re no longer viewing trial participants as “subjects.” We’re not treating patients; we’re thinking about overall human wellness. Consumers are partners in the research and development process and are able to provide real-world feedback that is collected and utilized as data to eventually provide better solutions. For example, as popular as mobile apps are for shopping, gaming, and more, mobile health apps are game changers for the way people view their health and how they communicate with their doctors. 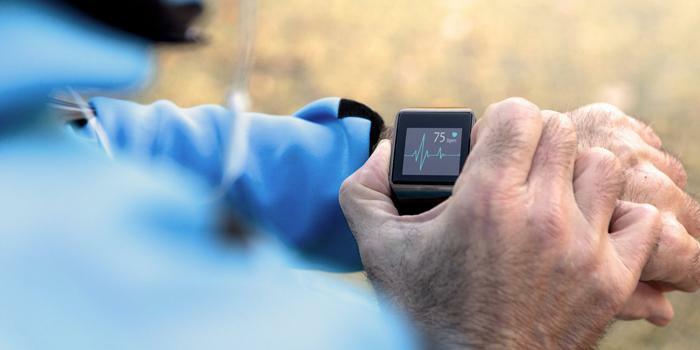 In clinical trials and real-world studies, patients are taking an active role in data collection by providing feedback through technologies such as apps or through wearable monitoring devices. This level of proactive response is like never before, and it is critical to not let it go to waste. Additionally, technology companies are jumping into the healthcare space and creating some major competition. The likes of Apple, Amazon, and Google are working to drive healthcare technology innovation. And, as with any other space, the competition is pleasantly forcing traditional life sciences companies to catch up and ride the digital wave. And, lastly, it doesn’t hurt that the U.S. Food and Drug Administration is starting to proactively support digital innovation in the healthcare eco-system. On that note, to better keep up with increasingly stringent regulatory standards in this space, technology is helping to streamline processes and help eliminate logistical barriers that have plagued clinical research for decades. Not being confined to hard devices, this innovation allows the industry to scale and process large sums of data to later be used for genome sequencing or for enhancing trial design and operations based on collected and analyzed past trial data. And, through cloud-based platforms, study teams can access data, monitor patients, etc., through connected devices and laptops from virtually anywhere in the world in real time. This opens up the door to risk-based monitoring to better ensure patient safety while also reducing costs along the way. By giving the industry high performance and in-memory computing capabilities, companies can store all sorts of data about patients, drug adverse events, images, genomic data, and much more and run advanced analytics to understand hidden patterns that can go undetected otherwise. This level of analytics is a like crystal ball into the future – allowing experts to identify potential future adverse effects and better understand patient profiles to define trial criteria and design. And, it helps make trials run safer and faster. On the largest scope, all this targeted information can offer precision medicine solutions to eventually develop targeted therapies. One of the biggest bottlenecks in innovation in recent years is the lack of data sharing and collaboration, especially among other companies and among payers and health systems. With blockchain capabilities, data can be accessed and shared between different groups (e.g., caregivers, physicians, researchers, and clinical research organizations (CROs), etc.). It also enhances clinical research design and execution. Researchers can now request patients to donate medical data for research purposes, which again can be shared via smart contracts among various life sciences companies, CROs, health systems, and more. As we’ve discussed, these tools are changing the game in terms of patient communications, data collection, and patient monitoring activities. Everything from mobile health apps to sensors and wearables are helping to make virtual trials and studies a reality. Patients can fully participate in clinical research from their homes without logistical and geographic barriers that affect patient recruitment and retention in traditional trial models. Also, with the availability of popular smart home assistants like Alexa by Amazon and Google Home in numerous homes, the industry can learn more about wellness awareness, adverse event reporting, treatment adherence, and disease management for individuals. These devices are also helpful in trials and studies to remind participants of site appointments and home activities in virtual trials as well as for sharing visit feedback and supporting post-visit questions and next steps. In the future, these devices could potentially play a significant role in at-home care and monitoring for the growing senior population. As patients become empowered through their active roles, the level of engagement helps improve data quality as well. When you put all this together, you can see why it is an exciting and revolutionary time in the history of healthcare. We’re certainly changing the landscape for how things are done in terms of processing, but most importantly, these technological advancements are making a profound positive impact to improve and advance human health.